Finding time and efficient ways to assess students is one challenge for classroom teachers that can be eased with technology. There are numerous online assessment tools and iPad apps specifically designed to help educators meet Common Core Standards, track student progress, facilitate grading, monitor student behavior, and generate reports. Many of them are available for a free trial period, or as free basic versions (typically with a cost for upgrading to premium levels). Socrative is an excellent formative assessment tool that can be used with students on iPads or any Internet-connected device. After signing up for a free teacher account,teachers can create or import quizzes (either multiple choice or short answer). Socrative generates a "room number," which students enter from the student version of the Socrative website or app. Once the teacher starts a quiz, students are able to take the assessment, and teachers can instantly see and graphically display the results. Socrative accomplishes the same results as hand-held clicker devices, such as the SMART Senteos, in a much easier and more cost-effective way. Quia is full-featured online assessment website that provides a variety of tools, including templates for creating 16 types of assessments, tools for creating and grading quizzes, and access to millions of previously created online activities. Quia charges a subscription fee, but you can try if for free for 30 days. 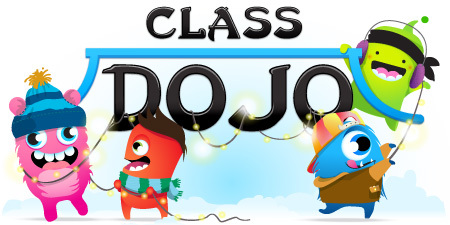 Class DoJo is online behavior management software that can also be downloaded as an iPad app. The software is designed to help teachers improve student conduct and engagement by recording specific behaviors and generating awards for good behavior. Students tend to be motivated by the fun interface and immediate feedback. 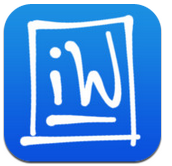 iWorksheet is a free iPad app that provides a very simple way to administer multiple choice assessments. Teachers can add easily add worksheets to the app by snapping a picture of a paper worksheet with the iPad camera. Once worksheets are added they can be saved for easy retrieval. At this point iWorksheet only supports multiple-choice assessments, but I expect that features will be expanded in the future. Blubbr is in beta, so may not be quite ready for prime time, but it looks like it might be a very engaging classroom assessment tool. The website allows you to create and play trivia games based on YouTube clips. There are now over 150 existing video-based trivia games in Blubbr's Education category, covering subjects such as the solar system, American presidents, and how to write a good essay. You can check it out (and check your musical knowledge) by playing the Peter and the Wolf Quiz. I think the best feature of Blubbr is that you can create and share your own trivia games. This is an assessment tool that you and your students can have some fun with!